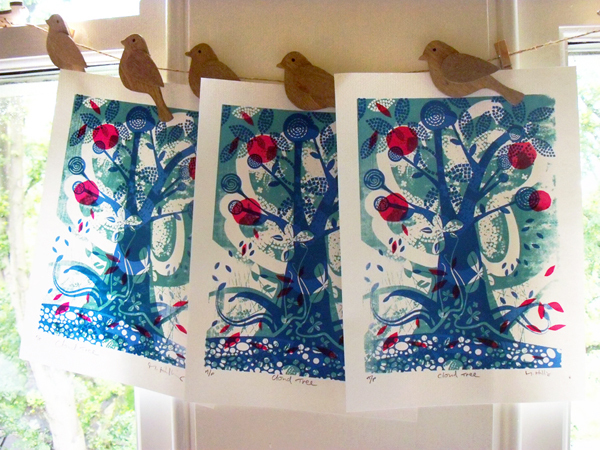 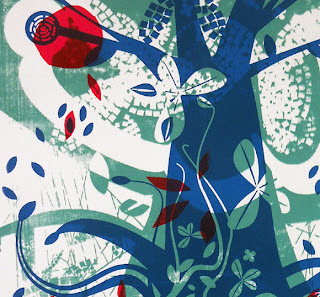 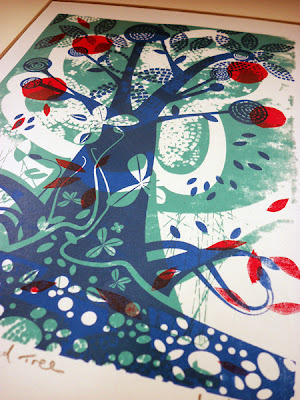 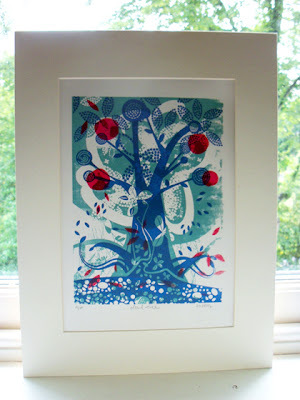 Cloud Tree is a three colour original hand pulled screen print designed and printed in my local printmaking studio. 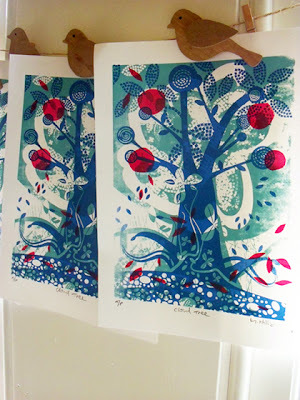 It's printed using vibrant red, blue and light blue ink. Each layer has been squeegee pulled using my muscles!